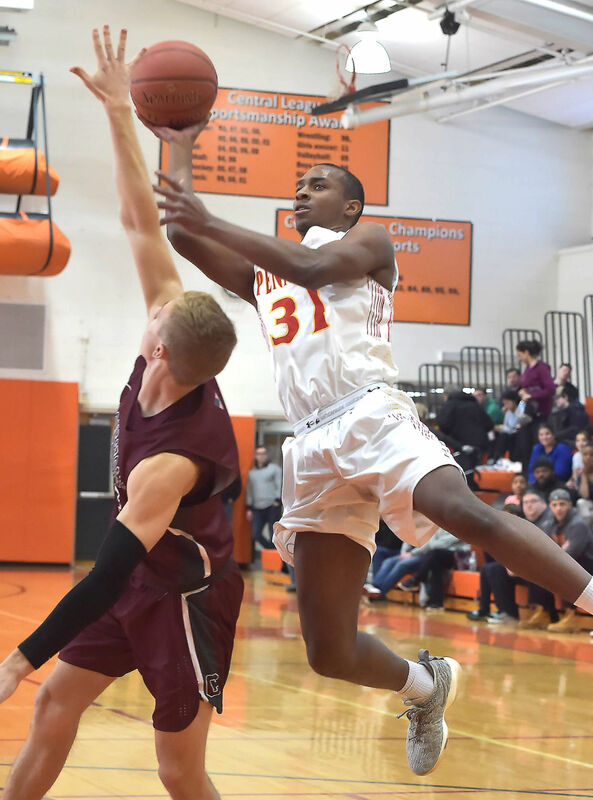 NEWTOWN SQUARE — It was a small sequence with two minutes left in a game that had been decided, but it still illustrated the unrelenting control Malcolm Williams and Isaiah Rice exerted for Penncrest Saturday. On one end, Williams stole the ball from a Conestoga player, then dished to Rice, who was fouled. Rice hit the first free throw, missed the second, only for Williams to scoop up the rebound, get hacked and head back to the line. Those free throws helped salt away a 54-46 win for Penncrest in the Central League semifinal at Marple Newtown, booking the second-seeded Lions (17-5) a spot in Monday night’s championship game against regular-season champion Lower Merion (7:45 at Harriton). Rice and Williams accounted for 17 of the Lions’ 19 fourth-quarter points. On both ends of the court, whether via Williams’ varied offensive game or Rice’s court vision or their collective muzzling of Conestoga leading scorer Zach Lezanic, the pair dictated the game. For Williams, the start wasn’t ideal. He had two points and two fouls at halftime, unable to establish an offensive rhythm. With the diversity of his game — mid-range jumpers, spin moves to the goal, the ability to corral rebounds and cash them in for points — getting going from the field isn’t as simple as jacking up shots. Less than the usual mantra of shooting his way out, Williams prefers to “tough his way” out of a slump. Williams finished with 14 points, six rebounds and three assists. Rice tallied 16 points, one shy of a season-high, to go with four assists and four rebounds. Such adaptability was in shorter supply on the opposite bench, where Conestoga (14-9) endured a chilly shooting performance, particularly from 3-point range. The Pioneers finished 7-for-29 from beyond the arc, though that stat was padded by hitting the final three attempts after Penncrest had stretched the lead back to double-digits and hopes for a comeback had essentially vanished. Lezanic was saddled with three first-half fouls in a game where Conestoga was whistled for 26 infractions to just 12 for Penncrest, much to the chagrin of a fulminating Mike Troy. Lezanic headed into halftime with just two points. 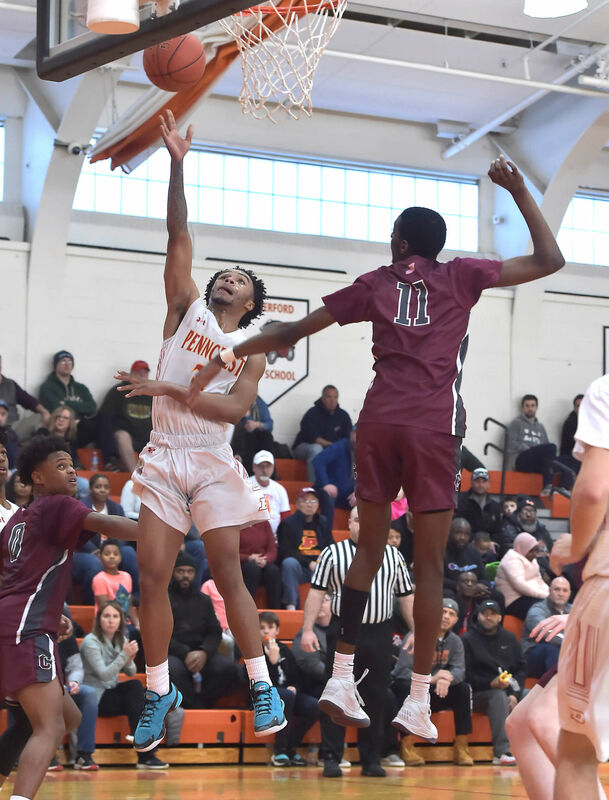 While he recovered with a team-high 16, including five in the third quarter to bring the Pioneers to within three of the Lions, the rising tide of his offensive game didn’t lift all Conestoga boats. Despite Lezanic’s quiet opening half, the Pioneers somehow trailed by just four at halftime, whittling the spread from 12. Scott Martin came off the bench to hit a pair of 3-pointers, the team’s only connections on 11 first-half attempts, to make it 21-17 at the break. But the shooting tide never turned. Lezanic was 2-for-from beyond the arc, one of the makes a lightly defended one in the final seconds. Teammate Milton Robinson was 1-for-9 from 3 (and 1-for-11 from the field), his connection likewise arriving in the final minute. The Pioneers were a perfect 11-for-11 from the free-throw line, but it didn’t count for much. Penncrest went 22-for-39 on its trips (including 9-for-19 in a shoddy first half), but that was enough, combined with a 36-25 edge on the boards. A Brooks Rush basket off a heady circle cut and feed from Martin got Conestoga within three at 35-32 after 3, the surge aided by two Shane Scott 3-pointers. But Rice answered with a 3-pointer on the second possession of the fourth. He added two free throws, then Williams hit a jumper before Rice drove to the glass for two. By the time Rice hit two at the line with three minutes left, Penncrest’s lead was 50-37, and another date with Lower Merion was booked. The Lions’ recent history with the Aces is the stuff of nightmares. Last year, a Steve Payne runner off glass with 2.6 seconds left sent the Aces over the Lions in the final. Two years ago, Terell Jones hit a falling jumper from 15 feet as time expired in the semi. Just three weeks ago, Jack Forrest did the horrors with a 3-pointer with 4.9 seconds left in overtime. With ample amounts of heartbreak in their collective memory bank, the Lions are eager for redemption.